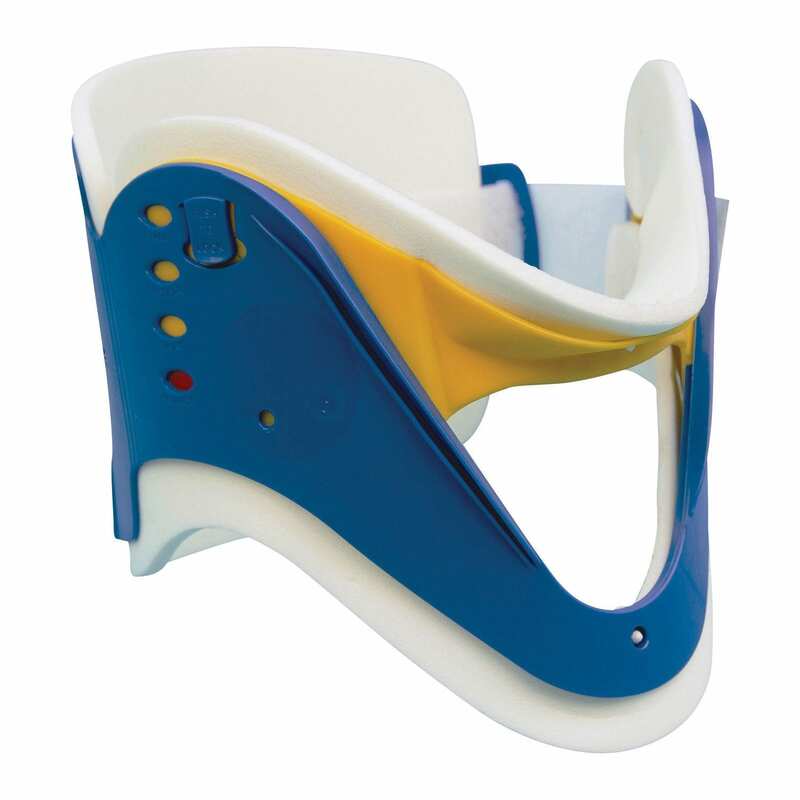 Professional Cervical Collar that fits all adult patients and delivers comfort with superior immobilisation. Easy front and rear access via an oversized trachea hole to allow for pulse checks etc. Push locks for maintaining correct height positions. Adjustment tracks to ensure symmetrical height alignment. Soft foam padded inner sides ensure patient comfort.